Are you a senior HR professional who has to evaluate, assess, and implement HR technology solutions? Are you getting overwhelmed by the amount of information that is available to you and the variety of solutions that you need to evaluate? Well then read on as this series is written keeping exactly those challenges and hopefully will help make your HR tech decisions easier. 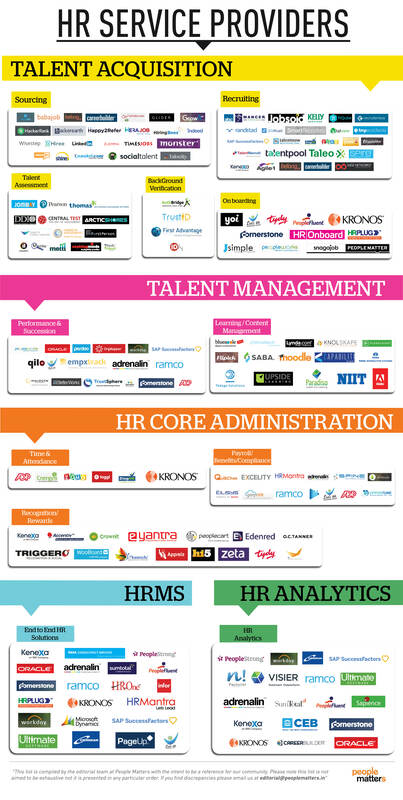 Before we go further let’s take a step back and understand the evolution of HR Technology space to its current form. This historic view will help us understand the distance we have covered so far while also giving us a sense of what lies ahead of us in the HR Technology space. I can assure you that we are in for a very exciting phase of HR Technology with consolidation of HR Technology solutions coupled with “predictive” analytics becoming a reality sooner than we expect. 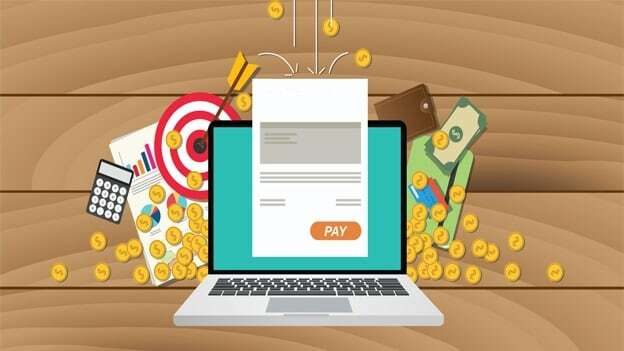 HR Technology implementations began in the 1960s with largely focused on automating/simplifying the Payroll operations. It’s amazing to see that this is still the first HR operation that gets looked at while choosing an HR Technology solution. HRMS started to appear on the surface with the growth of PC’s at workplace. The early HRMS solutions were PC based applications which had some basic functionalities and reporting capabilities. However they did not allow for integration with other similar applications. 1990’s saw the ERP wave which changed the way HR Technology was being viewed and for a considerable time HR Technology was merged under ERP. This phase ensured that HR data was now integrated with other applications and the ability to access enterprise level information from anywhere – thanks to Internet – had happened. Yet these were early days for HR Technology functionalities, abilities and reporting capabilities. One of the fundamental shifts that have happened during this period from 1960’s to now, is HR Technology implementation has now become a strategic initiative to align & deliver business results. This means that from earlier days where it would sit with IT budgets its now largely part of the HR budget & HR leaders are expected to lead the selection and ensure successful implementation. With these changes the relationship between HR & IT is also changing especially with SaaS based applications having lesser scope for IT to exert control over. Thus HR teams are expected to be more IT aware than they were earlier while still working with IT teams to ensure critical aspects such as Data Security are addressed adequately. As per ISG survey released in late 2015 more than 70% of organizations are looking to migrate their HR Technology solutions in the cloud. This is primarily driven by lower cost of ownership and lesser dependence on IT. While this move is happening many companies are also concerned about data security, product maturity, and ease of use as key factors which would determine their vendor selection. Mobile applications are fast becoming a “must have” feature in HR Technology implementation as it provides ease of use to employees and access to critical workflow information on the go. The multiplicity of HR Technology vendors within an organization has given rise to integrated analytics solutions. While companies today are struggling to integrate disparate data from such multiple systems, there requirements are quickly migrating from the basic MIS to predictive analytics. Organizations are increasingly going to ask for “decision support systems” which take out the “guess work” and have the ability to present relevant data at the finger tip of the HR leader. More and more companies will look to consolidate their HR Technology service providers and thus it’s imperative for the larger HRMS solution providers to also look at “lighter” versions of their products to address a broader market. Currently there are very few players who operate in the end-to-end solution space with price points that are attractive to an SMB player and I expect more & more players to try and occupy this place. I would argue that most organizations irrespective of their employee size would need basic HR functionalities while most organizations with employee base above 50 would need some more features of the HRMS thus making the SMB space extremely lucrative & competitive. “Platform as a service” will see growing adoption in larger organizations primarily for unique customized needs, while for smaller organizations the cost, data security and business continuity benefits could mean that many organizations would prefer such services for a broader HR solutions – for example – today most SMB players would use this for salary processing primarily via their CA while other HR services are built in house. With these changes as an HR leader it’s imperative that you understand the HR Technology space & guard against the latest and newest fads of technology. Many parameters governing the HR Technology implementations have changed however the fundamental aspects that any technology change is successful only when is accompanied by relevant process redesign & effective change management haven’t changed. Thus making the decision to implement Solution A vs Solution B a very critical aspect as once you implement a particular solution you would be expected to “live” with it for a minimum period of 3 to 5 years. If you had to change your technology solution in any time lesser than that, you would need to critically evaluate the factors that led to such decision. In this effort, I will first start with an overview of the HR Technology industry and map the various categories of solutions that are available in the market and key players which operate in that. Let me clarify that the list of players mentioned here is no way a comprehensive list but a representative list of players in each of these verticals. Some players may reflect in more than 1 vertical as they offer multiple solutions either as standalone products or an integrated product platform. As you can see from this representation HR Technology is today bursting with activity & has many niche players that are vying for customer attention. This makes HR Technology decisions extremely complex and challenging for HR leaders – especially when you have to ensure that this 1 piece of tech works with at least a dozen other pieces for it all to make sense. As technology gets more and more complex choosing the right solution becomes that much more critical for success , though the overall cost of HR Technology might have come down significantly the impact HR Technology implementation has on process & people is similar or I would argue even more than in the past, with the evolution of mobile solutions. The series of articles that I would write is to help you as HR leader to make this decision quicker and simpler. While I know that its difficult to keep track of the ever evolving HR Technology space in real time, its my endeavour to make the life of HR leader simpler by providing him/her simple and easy to use framework for evaluation of various vendors and even present him/her with a possible list of vendor/s he/she can consider for such detailed evaluation for his/her organization. In subsequent articles I will be taking up a specific category of solutions and evaluating key major players in detail so that we have a list of top 5 /10 players which you may evaluate further for your specific business need.